Further extending its reach beyond music exclusives, Apple Music has secured streaming rights to a new Clive Davis documentary film based on the music executive's autobiography. 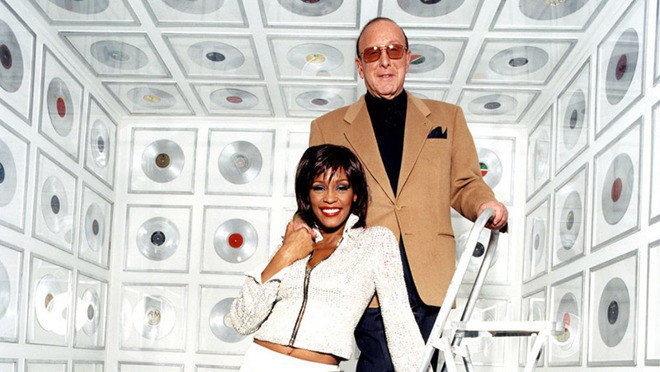 Apple Music will have first streaming rights to the documentary "Clive Davis: The Soundtrack of Our Lives," a film based on Davis' bestselling autobiography and produced by The IM Global and Scott Free Productions, reports Billboard. "Apple is a global innovator that has revolutionized the distribution of music," Davis said in a statement. "It is a touching honor to share the music and unique stories that have shaped my career with millions of Apple Music subscribers around the world. I am overjoyed to work with them to continue this incredible journey!" The film is set to premiere at the Tribeca Film Festival at Radio City Music Hall on Wednesday night and will be followed by a concert featuring performances by Aretha Franklin, Jennifer Hudson, Earth, Wind & Fire, Dionne Warwick, Carly Simon and Barry Manilow. It is unclear when Apple Music will gain access to the film. Davis is a legendary music executive who influenced decades of music makers. A five-time Grammy winner, Rock and Roll Hall of Fame inductee and recipient of The Recording Academy's Lifetime Achievement Award, Davis signed and groomed a number of successful acts including Bruce Springsteen, Whitney Houston, Santana, Aretha Franklin, Barry Manilow, Patti Smith, Alicia Keys and Sean "Puffy" Combs, the report notes. The deal is another exclusive content feather in Apple Music's cap. In November, the service nabbed exclusive rights to "808," a star-studded documentary chronicling the Roland TR-808 programmable drum machine's impact on the music making world. More recently, Apple announced a deal that will bring George Stroumboulopoulos' "House of Strombo" concerts to Apple Music as part of a ten-part series.